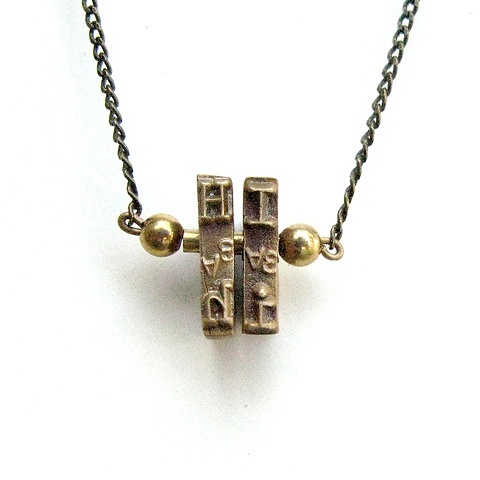 2 vintage typewriter strikeplate pendants recast in eco-friendly, recycled brass. A unique, subtle necklace for everyday wear. 17" chain for women. 20" chain for men. Please note which 2 letters you would like during checkout.